Three suspects shot two men in Over-the-Rhine at 12:35 a.m. on Thursday, Jan. 17, 2019. 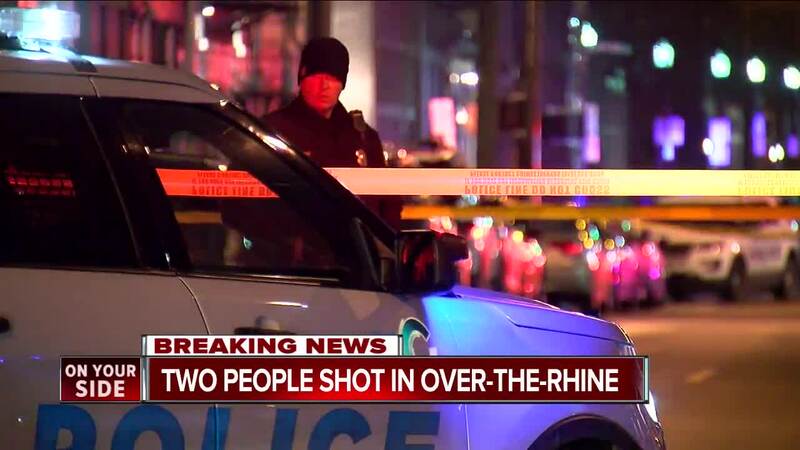 CINCINNATI --Three suspects shot two men in Over-the-Rhine early Thursday morning, according to Cincinnati police. The suspects shot a 22-year-old man and a 19-year-old man at about 12:35 a.m. near the 1400 block of Walnut street, police said. The suspects shot the 22-year-old in the chest, hip and foot. First responders transported him to the University of Cincinnati Medical Center with injuries that are life threatening. Someone transported the other victim to Christ Hospital. He was shot in the knee, and his injuries are not life threatening. Police are looking for three black men who were wearing black hoodies at the time of the shooting.